Stewart Stevenson, Scotland's Minister for the Environment and Climate Change, launched a unique educational website today (29 June) at the Scone Game Fair. The Deer Education Zone is an interactive website for school children and teachers, commissioned by Scottish Natural Heritage (SNH) on behalf of the Scottish Venison Partnership. The project gives teachers and pupils information on a topic many won't have discovered before, despite it being an important part of Scotland's history and culture. The Deer Zone helps children learn about deer and deer management through games, projects, activities and video clips, and shows them the journey of venison from the hill to their plates. Schools are also encouraged to meet up with deer managers and local chefs to learn about deer on the hills and about how to cook venison themselves. To reach as many children as possible across Scotland, the Deer Zone is published in both English and Gaelic. It is also the first wildlife resource specifically designed for the Curriculum for Excellence. The Deer Education Zone can be found at www.education.scottish-venison.info. "Deer are one of Scotland's most iconic animals and this new website will help educate our future generations on the importance of deer - their habitats, how they are managed and their impact on the Scottish environment and economy. "This resource supports the Curriculum for Excellence and will provide great assistance in our classrooms when learning about Scotland's wildlife. I am delighted that the website will be available in both English and Gaelic." "This is a very valuable addition to the existing resources available through our website. We with SNH and others are all working together to improve knowledge about deer - deer species and their habitat, management, venison, healthy eating and so on. If we can reach youngsters everywhere now through initiatives like this we are investing in the future of everyone who has an interest in Scotland's most iconic species." "The Deer Education Zone will give teachers and pupils the chance to find out all about deer and venison. The activities encourage children to learn how and why deer are managed and discover their value to the rural economy. We hope that the Gaelic version of the site will allow as many children as possible to learn about deer and look forward to seeing some exciting results from schools, which we'll feature on the site in the future." Rural communities in Scotland can now apply for support to help buy their land, Environment Minister Stewart Stevenson announced today. The new £6 million Scottish Land Fund which will empower communities by helping them acquire land opens for applications on Monday (July 2). The Minister announced the opening date for the fund – which will be delivered by Big Lottery Fund Scotland and Highlands and Islands Enterprise - during a visit to locally owned Crossgates Community Woodland. Crossgates was the first community in Scotland to successfully purchase land through the community right to buy provisions in May 2005. It also achieved ownership of the “Taft”, a 15 hectare wooded area, through funding from the first Scottish Land Fund which ran from 2001 to 2006. Since the successful purchase, Crossgates Community Woodland has secured a number of significant achievements. These have included the planting of over 7,000 trees, the creation of a play park and the creation of around a mile of pathways and tracks. "Crossgates Community Woodland is an excellent example of what can be achieved when a local community, with a clear idea of how best to develop land for the benefit of its community, is supported to buy land. "And today is an historic day for community land ownership in Scotland - I'm delighted to announce that our Scottish Land Fund, which will empower rural communities to help them acquire land, is now open for applications. "The Scottish Government fully supports community buy-outs and is committed to building strong and resilient communities throughout Scotland. "Both Big Lottery Fund Scotland and HIE will ensure the fund makes the best use of existing resources and expertise to maximise the land fund’s potential. "This is a really exciting opportunity to help more communities in rural Scotland own and develop their local land and land assets. We know from our experience delivering the original Scottish Land Fund with our partners at Highlands and Islands Enterprise that communities can achieve great things when they own and manage local land and land assets. I am delighted that we are working in partnership with HIE once more to deliver the new fund. "The Scottish Government’s new Scottish Land Fund will give communities the tools they need to take greater control of their own futures. We will combine our experience and expertise to give communities practical support in developing their ideas and aspirations and submitting strong applications for funding." "HIE is delighted to be involved in the delivery of this next chapter in the history of community land and asset ownership in Scotland. Over the past 20 years we have seen the benefits that ownership of assets brings to our communities. Community buy-outs are no longer experimental projects but an effective and proven rural regeneration model. "Around 500,000 acres of land are now in community ownership in Scotland – more than the John Muir Trust, the RSPB and the National Trust for Scotland combined. The new Scottish Land Fund will enable us to maintain the momentum and enable communities throughout Scotland to invest in a sustainable future." The Scottish Land Fund will make available £6 million over the next three financial years – 2012/13 to 2014/15. Stewart Stevenson, SNP MSP for Banffshire & Buchan Coast, has welcomed the news that the EU has reached an agreement with the Danish Presidency on a comprehensive sanctions regime for fleets engaging in irresponsible fishing practices. Recently, Iceland and the Faroes have unilaterally expanded their mackerel catch exponentially and, while the Icelandic and Faroese fleets maintain that mackerel stocks are themselves increasing, their actions have been met with widespread condemnation. The package agreed upon by the EU will allow, where appropriate, the imposition of trade sanctions on those countries employing unsustainable fishing practices. 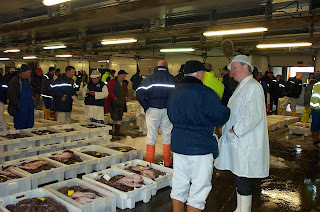 These include quantitative restrictions on the importation of fish into the EU, restrictions on port access by vessels under the flag of the offending country or territory and embargoes on the sale of vessels and equipment. Legislation to complete a programme of property law reform was completed today. The Long Leases (Scotland) Bill will bring an end to ultra-long leases (let for more than 175 years) by converting them to ownership. 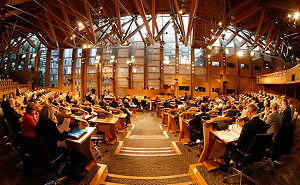 The Bill formed part of a programme of property law reform put forward by the Scottish Law Commission. This included the ending of feudal tenure in 2004 through the Abolition of Feudal Tenure etc (Scotland) Act 2000. Protects landlords' rights by providing for compensatory and additional payments. "This Bill will simplify Scotland's land tenure system. Ultra-long leases are so long that the tenant is, in effect, the owner in all but name. Clarifying the law makes life easier for tenants in ultra-long leases and for lenders and solicitors engaged in transactions relating to the properties. This legislation will simplify property law and convert virtual ownership into actual ownership. An eligible ultra-long lease is one that was let for more than 175 years and, at the Appointed Day, has more than 175 years left to run (non-residential leases) or has more than 100 years left to run (residential leases). The Bill will have full effect on the Appointed Day. The current intention is that the Appointed Day will be Martinmas (28 November) 2015. The Scottish Government estimates that there are around 9,000 ultra-long leases in Scotland. Banffshire & Buchan Coast SNP MSP Stewart Stevenson has announced details of his forthcoming surgery tour of local communities which commences on Monday 9 July. This year will be the twelfth such tour that Mr Stevenson has undertaken, covering 37 communities from Rothiemay in the far west to Boddam at the south-eastern end of the constituency and inland to Aberchirder, New Byth and Memsie. Stewart Stevenson, SNP MSP for Banffshire & Buchan Coast has today welcomed the news that two community groups in the Banffshire and Buchan Coast constituency are to receive Awards for All Scotland funding, totalling £11, 846. 1st Cornhill Guides and Peterhead & District Pipe Band have received grants to fund an expedition to the Isle of Skye and new musical equipment respectively. Mr Stevenson has written to each of the groups who were successful in their application and is hopeful that this funding will support them, and allow them to develop their activities which are of great importance to the local community. Reducing carbon loss from peatlands and maintaining healthy ecosystems can help combat some of the impacts of climate change, Scottish Natural Heritage (SNH) has confirmed. Other key adaptation techniques involve reducing pressures on nature such as pollution and excessive grazing. These and other principles are contained in a new climate change action plan – ‘Climate change and nature in Scotland’ – issued today by SNH. The plan sets out ways of responding to projected trends in Scotland for warmer, drier summers; milder, wetter autumns and winters, an increase in extreme weather events including summer heat waves, continued rising sea levels and ocean acidification. SNH says nature can help us cope with climate change. Peat is a carbon store which, if well managed, reduces the effect of carbon dioxide emissions. Maintaining healthy ecosystems provides food and water and helps control floods, diseases, pests and pollutants. The Climate Change (Scotland) Act 2009 commits the Scottish Government to reduce greenhouse gas emissions by at least 80% by 2050. The Scottish climate change legislation also set an interim target of at least 42% reduction by 2020. “Climate change is one of the most serious threats we face today. Scotland is a world leader in addressing its effects and by playing our part we can help meet this challenge. The UK Climate Change Risk Assessment and associated research suggest the implications for nature include warmer temperatures and sea level rise. Examples of changes we are seeing are: the comma butterfly, which has extended its range into Scotland from England and changes in plankton and fish in our seas leading to decline in seabird populations. “Tackling climate change is essential if Scotland is to thrive, both economically and socially. Nature has a huge part to play in helping us do this. Working with nature is easier, often cheaper and can be more effective in the long term. We can also help nature itself cope by helping it adapt. “This document sets out some ideas on how nature can help. We want to raise awareness of the issues, test our ideas and work with those taking decisions on responses to climate change, so that Scotland is more resilient and prosperous as a result. “Carbon storage too has a vital role to play in tackling climate change. The carbon stored in Scotland’s carbon rich soils – notably peat and peaty soil – is equivalent to more than 180 years of greenhouse gas emissions from Scotland at current rates. Scotland’s reputation as a world leader in climate change has been reinforced at the UN Summit on Sustainable Development in Rio. Environment and Climate Change Minister Stewart Stevenson met with the Mexican Government to discuss the importance of climate change legislation for sustainable development, and he praised Mexico’s commitment to tackling climate change. Mexico is now the third country to introduce legislation with binding targets on climate change, behind Scotland and the UK. Mr Stevenson met with Juan Rafael Elvira Quesada, Secretary of the Environment and Natural Resources in the Cabinet of President Felipe Calderón. He presented Elvira Quesada with a bottle of Scotch ‘twenty twenty’ whisky in recognition of Mexico’s new climate change legislation. "Scotland is leading the way in tackling climate change. Our ambitious targets are world leading and our ambitions for climate justice are not simply kind words - we are providing real support through our innovative Climate Justice Fund. "The Scottish Government recognises the urgency of addressing climate change. If we are to succeed in tackling climate change, countries worldwide must play their part to ensure a sustainable global future. "I am delighted that Mexico has followed Scotland’s lead and implemented binding targets. 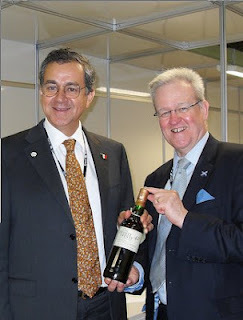 To mark the occasion I met with Mexico’s Environment Secretary at the UN Summit in Rio and presented him with a bottle of iconic Scotch ‘twenty twenty’ whisky, which was created especially to mark our momentous occasion in 2009. "The international leadership we are showing on sustainable development and low carbon economy is something we should all be proud of. I have taken every opportunity to promote Scotland’s commitment and actions at the UN Summit this week, calling on world leaders to take action for a sustainable and equitable future." A friend from London and I have a long standing joke about how great we Scots are as inventors. We are certainly a small nation that likes to lead the way: the T.V, telephone and tarmac - and that's just the T's! More recently Scotland has been leading the way in a different area. The three year anniversary of Scotland's world leading climate change legislation is just days away, and this year saw another first with Scotland announcing the creation of, and funding for, a Climate Justice Fund. While such progress is great at a Scottish level, it's also crucial that this message is heard at the international level too. Scotland can't solve the climate challenge alone. With that in mind, we held a photo stunt with Stewart Stevenson, the Scottish Government's Climate Change Minister, before he set off to join the UK delegation in Rio. It was great to hear his commitment to taking the message of climate justice to the global stage. Mr Stevenson proved a very good sport and worked with us to make a short video highlighting the importance of funding for climate justice. As he says: if we can do it, so can others. While the Scottish Climate Justice Fund is small in monetary terms, it will still have a significant impact in supporting some of the poorest people in developing countries adapt to the impact of climate change - which we, not they, caused. But the fund's greatest significance is its symbolism. It's an example to others, showing that ambition is possible. However, as Tom Ballantine from Stop Climate Chaos Scotland says - we need more than fine words at Rio, it's now time for action. Communities across the country are supporting Scotland’s ambitions to reduce carbon emissions, Minister for Environment and Climate Change Stewart Stevenson said today. Mr Stevenson announced that 21 groups across Scotland have been awarded over £2.9 million for the next three years through the Climate Challenge Fund (CCF). The CCF helps communities across Scotland to reduce their carbon footprint, supporting a low carbon lifestyle, and contributing to Scotland reaching its ambitious climate change target of reducing carbon emissions by 80 per cent by 2050. All applications are assessed by an Independent Grants Panel. "Climate change is one of the most serious threats we face as a global community and Scotland is leading the way in tackling the problem. “Importantly Scottish communities are playing their part, taking action to reduce their carbon footprint with support from our Climate Challenge Fund. Across the country, a further 21 exciting new projects will receive £2.9 million support, empowering more communities to realise their carbon saving potential. “CCF has captured the imagination of our communities, producing many innovative ideas and projects to change behaviours and drive down emissions. And that commitment from local communities – to tackle climate change from the grass-roots up - is essential if we are to succeed in delivering Scotland’s world leading and ambitious climate change targets. This announcement is the second to be made under the 2012-15 CCF scheme. Since its launch in 2008, the CCF has made 525 individual awards across 383 communities in Scotland. Banffshire & Buchan Coast MSP Stewart Stevenson has welcomed statistics revealing that Scotland’s policy of free education is helping to keep student debt levels the lowest in the UK. Figures from the Student Loans Company showed the average Scottish student loan debt was £6,480 compared to £17,140 in England, £13,650 in Wales and £15,880 in Northern Ireland. “The SNP is clear that educational opportunity should be based on the ability to learn, not the ability to pay. “We will never price Scotland’s young people out of an education and have a generous package of student support, which is why we have the lowest student debt levels in the UK. “The SNP Government is building on these positive figures by working towards delivering a minimum income of £7,000 a year for the most vulnerable students. “We are the only party never to have voted for tuition fees and are the only party who can be trusted on education – as Labour’s desertion of its commitment to free higher education in Scotland highlights. As leaders from across the globe prepare for the Rio+20 Earth Summit this week, two of the UK’s most senior environmental figures yesterday (18th June) witnessed firsthand the importance of conserving our natural heritage. Stewart Stevenson MSP, Scotland’s Minister for the Environment and Climate Change and Caroline Spelman MP, the UK Government’s Secretary of State for the Environment were invited to visit the Tijuca National Park. The trip, organised by the RSPB, aimed to highlight the importance of tropical forests in tackling climate change, protecting and improving biodiversity, helping communities and encouraging greater protection of the UK’s own natural environment. Situated a short distance from the UN’s Conference on Sustainable Development in Rio, Tijuca National Park is an excellent example of how protection of the natural environment is important, both for its own sake but also for sustainable community development. It is also home to many species of threatened wildlife and plays a crucial role in delivering a water supply to Rio and regulating the local climate. Several hundred years ago the area was deforested, and was only replanted in the mid 19th Century after the city’s water supply started to dry up. Following this work the water supply returned which also benefited the local climate and tourism. Rio+20 will focus on seven priority areas including: decent jobs, energy, sustainable cities, food security and sustainable agriculture, water, oceans and disaster readiness. Mr Stevenson’s attendance in Rio serves to reinforce Scotland’s commitment to world-leading climate change legislation and ambitious carbon reduction targets. "Scotland’s biodiversity is truly special, with a wealth of wildlife and natural habitats that enrich our lives and benefit society in so many ways." "We know that our natural environment has a key role to play in achieving sustainable development and we must act together to protect our biodiversity for present and future generations." "Yesterday I was delighted to visit Tujican National Park to see at first hand the tropical rainforests which are playing a vital part in protecting the natural environment and tackling climate change." "In Scotland, we are committed to creating a healthy, sustainable natural environment that supports our communities and helps us address the challenge of climate change." "Scotland is leading the way in tackling climate change with our ambitious climate change legislation, low carbon energy programme and leading research and development base. We have also recently launched our innovative climate justice fund and have accepted an invitation from the United Nations to deepen our engagement with their sustainable energy agenda." "We recognise the urgency of addressing climate change. We hope our strong example, which I am promoting in Rio this week, can inspire other nations to equally ambitious action to achieve an equitable and sustainable future." 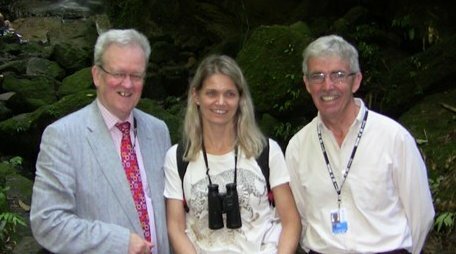 “RSPB Scotland is pleased that Mr Stevenson visited Tijuca to see, at first hand, how tropical forests, are vital to not only the health of our planet but also to our communities. Talks that will be held in Rio later this week must recognise this and ensure we protect these precious areas. Climate change has impacted on upland plants and vegetation over the past half century, new evidence from north west Scotland has revealed. Research funded by Scottish Natural Heritage (SNH) and the Natural Environment Research Council (NERC) has revealed for the first time the impacts of climate change on mountain landscapes. The pioneering work was carried out by Aberdeen University and supported by the Hutton Institute and Bergen University, Norway. Species which increased the most prefer warmer, drier and more acidic conditions. Grasses increased at the expense of dwarf shrubs; flowering plants and lichens. Scientists now warn that in some cases these changes may be irreversible, leading to permanent changes in our landscapes. They found evidence of a widespread loss of variety in plant communities across whole mountain landscapes. This is directly causing a reduction in the distinct identity of parts of the Scottish Highlands. The decline of plant diversity could mean mountain habitats are less able to cope with future environmental change: whether climate-related or pests and diseases. Scientists found plant variety declined and previously distinct communities have merged into those dominated by more common and widespread plants. By examining these plant communities in minute details the researchers found changes due to temperature, rainfall and acidification above and beyond grazing impacts. “It is striking that one consequence of climate change is the loss of the specialist species adapted to cool, wet conditions. “Climate change is affecting Scotland's mountain vegetation. We may be at an early stage in unfolding events as a result of greenhouse gas effects. “It is extraordinary to think that we are now reaping the rewards of Donald McVean and Derek Ratcliffe’s pioneering field work 50 years ago. “Back in the late 1950s they endured harsh conditions as they recorded in great detail the composition and abundance of different plants and vegetation. Their work makes it plain we have to avoid the loss of unique elements of Scotland’s nature. Professor John Birks, a specialist in upland vegetation at the University of Bergen, Norway, who collaborated in the work commented: “This research is pointing to the need for more work to plan for losses of vulnerable plant communities – especially the northern heaths rich in liverworts that are confined in Europe to north west Scotland. Scotland’s ‘deep commitment” to sustainable energy has been praised by UN Secretary General Ban Ki Moon as he issued an invitation from the United Nations for Scotland to deepen its international engagement on their sustainable energy agenda. In a letter to the First Minister, the Secretary General acknowledged Scotland is in an ‘excellent position’ to play a leading role in shared efforts to find lasting solutions to the world’s pressing energy challenges. On the eve of his attendance at next week’s UN Summit on Sustainable Development in Rio, Minister for Environment and Climate Change Stewart Stevenson has reiterated Scotland’s commitment to ensuring it contributes to the collective efforts of the UN, private commerce, and governments to bring about improved standards of sustainable energy across the world. The UN has declared 2012 its year of Sustainable Energy for All, which aims to ensure universal access to modern energy services, to double the global rate of improvement in energy efficiency, and to double the share of renewable energy in the global energy mix. Highlighting the economic and moral case for pursing a low carbon future for energy and wider development needs, Mr Stevenson will undertake a series of events in Rio next week, setting out the clear relationship between Scotland’s ambitious climate change and renewables programme with the objectives of the UN’s sustainable energy initiative, pledging the Scottish Government’s support in helping achieve its aims of energy equality and climate justice. “Scotland is playing its part in tackling climate change and we are delighted to accept the Secretary General’s invitation to deepen Scotland’s engagement with the United Nations on their sustainable energy agenda. “Scotland has already taken the lead with our ambitious climate change legislation, low carbon energy programme and leading research and development base, as well as our innovative climate justice fund. We are continuing to demonstrate that leadership to governments and commerce alike on international platforms through the EU and the UN where our strong example can inspire other nations to equally ambitious action. “We must find durable solutions to the world’s energy and climate challenges and governments, the private sector, NGOs and individuals need to work together on a global scale to find them. “The UN will have a key role in this, but individual governments must play their part, and Scotland’s targets are one way we are doing this. “Developed countries have a moral obligation to help developing countries tackle climate change and energy inequality, and Scotland is already doing what it can, for example our support for work in Malawi and our recently launched climate justice fund which has received overwhelming support from Scottish civic society. Farmers in the developing world whose crops are at risk of the effects of climate change are to be supported by £4 million funding. Scotland’s Environment and Climate Change Minister Stewart Stevenson made the announcement on the eve of his attendance at the UN Summit on Sustainable Development where he will highlight Scotland’s position as a world leader in tackling climate change. This latest round of funding from the International Development Fund will support Scottish-based aid organisations who are working on the ground in Zambia, Tanzania and Rwanda, underlining our commitment to supporting projects which alleviate poverty in the developing world including responding to the effects of climate change. “Scotland is well aware of its responsibilities to the wider world and we know that it is some of the world’s most vulnerable people in Sub Saharan Africa that are dealing with the harsh realities of climate change. “I am delighted to announce this latest support from the International Development Fund ahead of the UN Summit as a sign of our commitment to helping alleviate poverty in the developing world and to empowering vulnerable communities to deal with effects of climate change. “Scotland is leading the way in tackling climate change. We are committed to promoting sustainable development and that is why we are playing our part in this year’s UN Summit. “This Scottish Government funding will help women and men small-holder producers to build those skills and, together with others, negotiate for better policies and practices for access to land and water, agricultural production and trade. “SCIAF is delighted to receive this grant from the Scottish Government International Development Fund. As world leaders gather in Rio to discuss a sustainable future for our planet, this announcement is a practical example of how we can make a difference here and now. Over 1,300 small farmers will be supported through the funding, and many thousands more in their families and communities will feel the benefits. Banffshire & Buchan Coast MSP Stewart Stevenson has welcomed further progress being made by the Crown Estate towards carrying out repairs to the iconic Crovie Pier. The Crown Estate has advised the SNP MSP that it has completed the tender process to identify a suitable contractor to undertake the repairs, which will start in the coming weeks. The quarter million-pound project will be carried out by George Leslie Limited as main contractor for works on the Category-B listed structure. The scheme will be managed by Wallace Stone Consulting Civil Engineers, who also designed it. 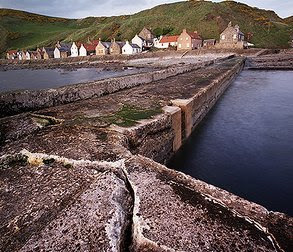 “It has been a long slow process to get the Crown Estate to acknowledge their responsibility for the care and maintenance of Crovie Pier but I am pleased that years of pressure from the local community are about to pay off. Works will include repairing the seaward end of the pier by encasing it with concrete and repairing cracks in the walls and deck. Banffshire & Buchan Coast MSP Stewart Stevenson is raising awareness of World Blood Donor Day, which takes place on Thursday 14th June. “I am happy to raise awareness of this important initiative and to stress the need for safe blood and blood products to aid efficient delivery of health care. The value of giving blood should not be underestimated. “I would also like to thank all voluntary blood donors for their life-saving gifts of blood – they are all unsung heroes. Scotland’s timber industry is going from strength to strength as this year’s timber harvesting is the highest ever recorded. The most recent figures for 2011 show seven and a half million cubic metres were harvested – up half a million on the previous year. At the same time, Scotland’s sawmillers were producing seven per cent more sawn timber with much of it being sent to markets in England. Overall, timber prices are two per cent higher in real terms compared to last year and favourable exchange rates are helping Scots businesses boost the home market as imports reduce. “In a difficult global economic environment this is excellent news and goes to show that Scotland's forestry sector is in robust good health. “As a mainstay of our rural economy, forestry plays a vital role in safeguarding communities and businesses across the country - and is increasingly winning a bigger stake in the domestic and international timber markets. “The other good news is that Scotland's forests are maturing and over the next 10-15 years we expect to see further increases in harvesting. This should result in a steadier supply and bigger volumes of timber produced from Scotland's forests. "This is an excellent position from which to build a stronger sector in the years to come." The forestry sector contributes £670 million each year to the Scottish economy and supports around 31,000 jobs, mainly in rural areas. "Geological diversity is often taken for granted but it is key to our environment and our quality of life - the importance of its sustainable management should not be underestimated. 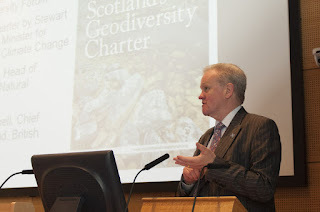 I welcome Scotland’s Geodiversity Charter which not only encourages understanding and appreciation of our geodiversity but also promotes awareness and more integrated management of something so fundamental to all our lives." Scotland has an exceptional geodiversity – our rocks, landforms, soils and natural processes, which span a vast 3 billion-year-long geological timescale. Our geodiversity is vital as the foundation of life, providing essential benefits for society through its profound influence on landscape, habitats and species, the economy, historical and cultural heritage, education, health and well-being. Scotland’s Geodiversity Charter has been drawn up by the Scottish Geodiversity Forum, with support from the Scottish Government, Scottish Natural Heritage, the British Geological Survey and GeoConservationUK. It will be signed by more than 25 organisations, pledging to ensure that our geodiversity is adequately considered and conserved, and continues to provide essential benefits for Scotland. "this is a great day for Scotland’s geodiversity, with a range of organisations big and small coming together to celebrate the variety of our rocks and landscapes, and highlight how in many different ways they contribute to our economy, history and culture. Our geodiversity impacts on everyone in Scotland, and has a key role to play in how we respond to future challenges." "Our Association welcomes what we believe to be the world’s first ever Geodiversity Charter and hope that other nations in the British Isles, Europe and elsewhere will be inspired to build on this example of good practice." Scotland’s Environment Minister, Stewart Stevenson, has highlighted Scotland’s world-leading role in both the development of renewables and in championing the need for climate justice for the world’s poorest communities as he marks World Environment Day. The theme for World Environment Day is ‘The Green Economy’, Scotland has around a quarter of Europe’s offshore wind and tidal energy resource and a tenth of its wave power potential. Last year, Scotland produced a record amount of renewable electricity, amounting to more than a third of gross domestic consumption - exceeding the Scottish Government’s 2011 target of 31 per cent and Scotland is on track to deliver the equivalent of at least 100 per cent of gross electricity consumption by 2020, with Scotland remaining a net exporter of power. Last week Mr Stevenson joined First Minister, Alex Salmond, and former UN High Commissioner for Human Rights, Mary Robinson, to launch Scotland’s Climate Justice Fund. Scotland is calling on other nations to rise to the challenge of climate justice, to ensure that the world’s poorest do not have to bear the brunt of climate change. Mr Stevenson will be attending the UN Rio + 20 summit later this month as part of the UK delegation. “The topic of this year’s World Environment Day could not be more apt for Scotland. The low carbon economy offers a huge opportunity for us, creating tens of thousands of jobs and reindustrialising our economy. As we create green jobs at home we are helping other countries develop renewable energy, and also tackling the devastating impact of climate change on the world’s poorest. It is a joined up vision we can be proud of and one which other countries should take note. “The renewables industry already supports more than 11,000 jobs across Scotland and plans to install up to 10 Gigawatts of offshore wind generating capacity in Scottish waters are predicted to generate around £30 billion of investment by 2020 and to directly employ up to 28,000 people. The emerging wave and tidal energy industry, where up to 1.6 GW of capacity is planned for the Pentland Firth and Orkney Waters, is predicted to create several thousand more renewables jobs. Leases have already been granted to develop more than 11 GigaWatts of offshore wind, wave and tidal-energy generating capacity up to 2020 – by when, Scotland aims to be producing 100 per cent of our domestic electricity needs from renewables, while continuing as a net exporter of power. Rises in wholesale gas prices have led to a sharp rise in household utility bills, and the Scottish Government is committed to reducing dependence on imported fossil fuels. Recent analysis published by the UK Department of Energy and Climate Change has shown that low carbon energy policies and measures could lead to an average household energy bill of £1,285 by 2020 – whereas ‘business as usual’ would result in bills of £1,379. On Your Marks, Get Set ... Grow! Primary pupils from across Edinburgh have competed to be crowned the most green fingered of them all, in a competition that saw them grow their own country for the Olympic Games. Each school was given the name of a country competing in the 2012 Games and tasked with growing a basket of flowers to represent the nation for the chance to win gold for their school. The City of Edinburgh Council teamed up with Gardening Scotland for the competition and the winners were crowned champions today by Scottish Environment Minister, Stewart Stevenson MSP. Gold medal was won by Ferryhill Primary , Silver by Gylemuir Primary and Bronze went to Bruntsfield Primary. "This is a great, innovative way for pupils to feel a part of the Olympic Games and also learn valuable lessons about the environment and other cultures and countries. "The Games are set to be a historic time for the whole of Great Britain, and involving all our schools across the city in a wide variety of Olympic activities will inspire pupils to enjoy taking part in sport and learn about the world they live in." "With Olympic football at Hampden and the torch coming to Scotland, the Country in a Basket competition will help excite pupils about the forthcoming Olympic Games. This schools contest is an excellent way to engage pupils in the inclusive international spirit of the Games, while also helping them learn more about gardening, biodiversity and the natural world. I look forward to seeing the many creative country basket designs that pupils come up with and wish them all the best of luck for a place on the winners podium." "At Gardening Scotland we welcome the participation of gardeners of all ages and we are delighted that this year so many green-fingered youngsters will be taking part through Country in a Basket. They'll be taking their place alongside top garden designers, some of the UK's best nurseries and more than 400 exhibitors selling everything for the garden." The competition and display will form part of the Gardening Scotland event at Ingliston, running from 1 to 3 June. The annual event is expected to see more than 40,000 people attend. The schools' flowers and plants will be on proud display throughout. The schools were provided with a basket, bag of compost and £50 to spend. Volunteers were also on hand to provide practical growing advice. This is part of a wider initiative Edinburgh Gets Set for the Games - a series of cultural and sporting events held across the city. The programme includes a concert at the Usher Hall and a major sporting event at Meadowbank Stadium. Schools have also run a wide range of curriculum based educational projects based on making international links, learning about other Olympic nations, healthy eating, sport, international culture, concerts and events and international twinning. Banffshire & Buchan Coast SNP MSP Stewart Stevenson last night took part in the historic vote in the Scottish Parliament, in which, for the first time, Holyrood indicated its support for Scotland becoming an independent country. “This was a small but very important step on the road to the future for Scotland. “For the first time ever, Scotland’s elected representatives actually voted to state their support for Scottish independence. In the end it is the people themselves, not the politicians, who will decide, in the 2014 referendum, but it is no small matter that Scotland’s Parliament made a stand today for Scotland to take its place in the world. “A few years ago, this would have been an unimaginable situation, and it is worth looking back and recording that we would not have got this far without the efforts of people like former East Aberdeenshire MP Douglas Henderson and former Banffshire MP Hamish Watt, who fought for decades for Scottish independence before Scotland had a democratic voice of her own. Banffshire & Buchan Coast MSP Stewart Stevenson is highlighting the importance of Make a Noise in Libraries fortnight, which takes place from 11th – 24th June. “I applaud this initiative which will seek to improve the provision of library services to blind and partially sighted people who all need access to information, like everyone else. “Recognition must go to the partners: Share the Vision, the Society of Chief Librarians and the Scottish Library & Information Council, and to all participating libraries who will implement the six-step initiative to improve accessibility.